Welcome to winter in the Northwest. The heat is on and you might be wondering, is my furnace going to make it through this El Nino winter? The average gas furnace lasts about 15 years. If you have an older furnace or are considering an upgrade to a more efficient one, where do you start? Our heating specialists want you to be an informed consumer with these five things to ask before you install a gas furnace. Do I Need A New Gas Furnace Or Can It Be Repaired? Just because a furnace is acting up or old, doesn’t mean it requires immediate replacement. For a fraction of the cost of a new furnace, a tune-up or repair appointment is a good first course of action. Annual furnace tune-ups are recommended by Fox and by all equipment manufacturers as they prolong the life of the equipment. Tune-ups are designed to maintain and enhance the performance of working equipment. Should your furnace stop working, develop knocking, or strange smells upon startup, Fox recommends a trouble shooting or repair appointment to tackle any fixable issues. In the end, even the best maintained gas furnace will wear out and it will eventually be furnace replacement time. 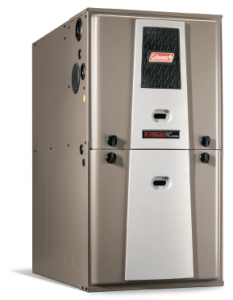 What Will A New Gas Furnace Cost? There are several factors that go into the cost of a natural gas furnace. The biggest determinant of cost is the size of the furnace. Do we mean how many square feet of space the furnace takes up in your basement? No, we mean how much heat it pumps into your home. The larger your house, the more capacity you need in order to feel comfortable. Other important variables are the energy efficiency of the equipment and choosing the right contractor to do the installation. We’ll discuss all of these factors and how they affect the cost of the furnace next. The correct furnace size for your home is determined by your heating specialist. He collects relevant data on the house before giving you a quote. Sizing of equipment takes into account the square footage of the home, windows, insulation, duct work and presence of other equipment such as a heat pump among many criteria. All of these elements work together to create your comfort. How Much Will I Save With An Energy Efficient Furnace? Furnaces have come a long way toward energy efficiency, and a new gas furnace will likely reduce your gas bill. Years ago, a good furnace reached 80% efficiency, meaning that 80% of the gas was turned into heat and 20% of the gas it burned was wasted. Today’s top furnaces are 95% efficient or higher. Depending on the age and condition of your old furnace, a new one could be up to 40% more efficient. While a higher efficiency furnace will run less expensively during its lifetime, the upfront cost is more. That’s why Fox works with quality manufacturers such as Coleman to provide broad product lines including a range of efficiency and prices. Many energy efficient appliances are EnergyStar Certified, including furnaces. Those which are 95% efficient and EnergyStar certified also qualify for PSE’s $250 furnace rebate program. PSE natural gas customers who choose Fox Plumbing & Heating for their furnace installation are eligible to receive that rebate. The Number One Criteria In Choosing A Furnace? According to Consumer Reports, “In the end, it's the contractor who will make the biggest difference in how well the furnace replacement goes”. They also noted, “There is a strong correlation between repair frequency and the quality of the installing company. Companies who specialize in new construction have almost double the repair rate than qualified retrofit HVAC specialists." 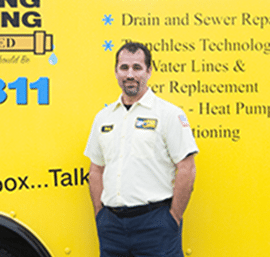 At Fox Plumbing & Heating, we are proud of our installation teams and their ability to correctly install your furnace. We have been professionally installing furnaces in the Seattle and King County area homes for many years and our heating specialists want you to be an informed furnace buyer. To get your specific questions answered or to get your new gas furnace installed, contact Fox.